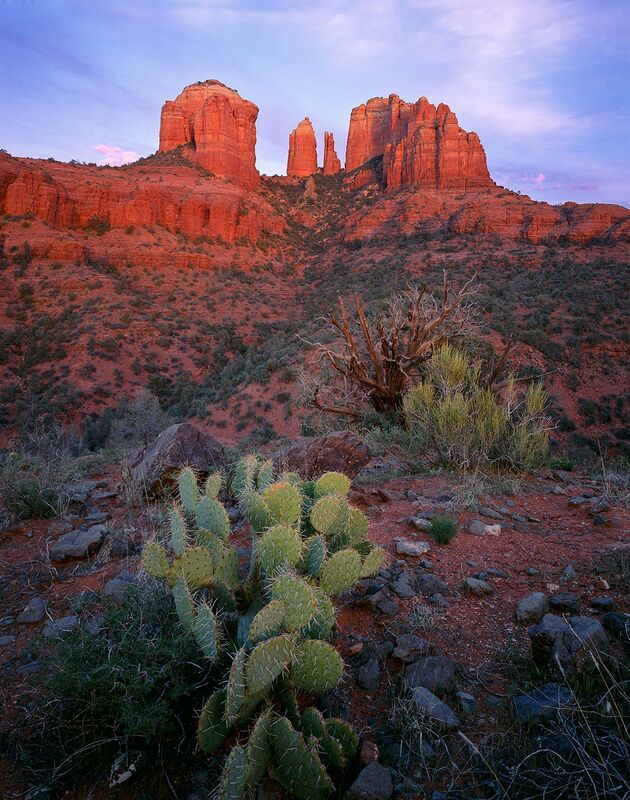 Perhaps the most beautiful formation in the Sedona area, Cathedral Rock is also the most photographed. As an artist I believe that there is always an opportunity to create something unique, even with a common subject. After a good deal of scrambling I found this perch, where a prickly pear cactus bathed in the last light. Finding a route down in the darkness proved to be an adventure.